As of this writing there are 1,692 confirmed extra-solar planets. These are planets for which we not only know they exist, but we know some things about them, such as their orbit, mass, etc. The Kepler mission, a space telescope surveying nearly 150,000 main sequence stars, has found nearly 20,000 possible planets. Of these, we have found more than 2,700 candidate planets. These are planets for which we know some of their properties, but which haven’t completed the rigorous process of being officially confirmed. This is a huge change from just twenty years ago, when there were no confirmed main-sequence exoplanets. With nearly 3,000 candidate planets we can now do a bit of statistics on just how common planets are, their typical masses, and the type of stars they orbit. You can see some of these statistics in the figures below. The first image shows the locations of candidate planets seen by Kepler, while the second shows the distribution of these planets by mass. Of course we have to be a bit careful when looking at the statistics. Kepler finds planets by a process known as the transit method. It measures the brightness of 150,000 main sequence stars looking for the periodic dimming of a particular star. There are several reasons why a star might dim, but one of them is because a planet passes in front of the star, blocking some of its light for a short period. The bigger the planet, the easier it is to observe. It is also easier to observe periods with shorter orbital periods than longer ones. With shorter periods you can see more of them for a given observation time. As a result, Kepler will find short-period planets first, and longer period planets as it keeps watching the stars. Even with this observational bias we can see that planets have a range of sizes, and even Earth-sized planets are relatively common. Popular science articles often use the term Earth-like, but that sounds like they have water and gazelles, but just because they are Earth sized doesn’t mean they are habitable. That’s a topic for another time. The transit method is just one way to discover extra-solar planets. Another popular method is radial velocity method. This method observes starlight and watches for a periodic Doppler shift. As a planet orbits a star it causes the star to wobble a bit. As a star wobbles, its light is red shifted or blue shifted slightly. By measuring a star’s wobble we can detect the planets orbiting it. Again this has a bit of bias. Larger planets orbiting smaller stars are easier to observe than smaller planets orbiting larger stars. So just how many planets are there in our galaxy? A recent study estimates that most main sequence stars have planetary systems, with an average of about 1.6 planets per star in our galaxy. Since there’s at least 200 billion stars in the Milky Way, that means more than 300 billion planets. 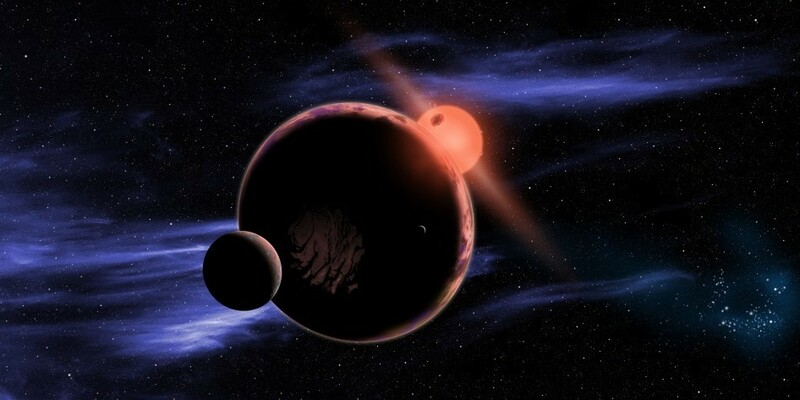 Another survey looked at planets orbiting M class (red dwarf) stars, and estimated about 6% of red dwarfs have Earth-mass stars in their habitable zone. Since about 75% of stars in our galaxy are red dwarfs, that means there may be 4.5 billion Earth-like planets in the Milky Way. Earth-like in that they have a mass similar to Earth’s and a temperature that could allow for liquid water on its surface. Of course that’s just in our galaxy. There are likely 500 billion galaxies in the observable universe, so there may be a sextillion planets similar to ours. Sextillion as in 1 with 21 zeros after it.